ISO Approved Supplier & Exporter of Super Duplex Steel UNS S32750 Seamless Pipes & Tubes. Super Duplex Steel UNS S32750 Pipe, UNS S32750 Super Duplex Pipe, ASTM A789 Super Duplex Steel Welded Tubes, Super Duplex 2507 Seamless Pipes, DIN 1.4410 Tube, UNS S32750 Tube, Super Duplex 2507 Welded Pipes, Super Duplex SAF 2507 Seamless Tubing, SAF 2507 Super Duplex Tube Supplier in Mumbai, India. Piyush Steel is one of the renowned Manufacturer, Exporter and Supplier of Super Duplex Stainless Steel UNS S32750 Pipes in Mumbai, India. These Super Duplex Stainless Steel UNS S32750 Tubes are by and large more greatly and more complex alloyed materials. 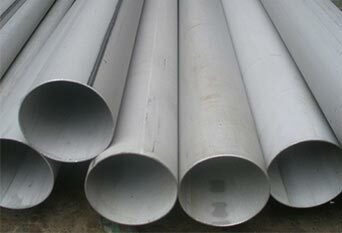 Super Duplex S32750 Pipes are formerly formed from relatively grouping of ferritic phases and austenitic. 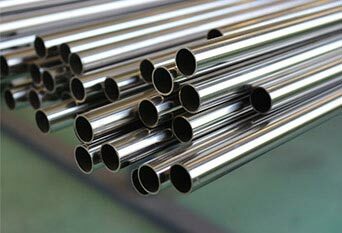 Accordingly, Super Duplex S32750 Tubing are sometimes referred as ferritic-austenitic stainless steels. The grade ASTM A790 Super Duplex Steel SAF 2507 Pipes defies sulphide stress corrosion and chloride environments. ASME SA 790 Super Duplex Steel SAF 2507 Pipes is comparatively double the yield strength of standardized austenitic stainless steel grades. Super Duplex Stainless Steel DIN 1.4410 Pipes are very much long-lasting and can as well fit in to any length effortlessly due to the convenience of different sizes and shapes, along with customized options to our esteemed clients. Super Duplex DIN 1.4410 Welded Pipes, Super Duplex 2507 EFW Pipes, UNS S32750 Pipe, ASTM A789 Super Duplex Stainless Steel Seamless Tubing, Super Duplex UNS S32750 Pipes, ASTM A790 Super Duplex Steel 2507 Pipes, UNS S32750 Tube, Super Duplex Stainless Steel UNS S32750 Tubing, DIN 1.4410 Pipe, DIN 1.4410 Tube, SAF 2507 Super Duplex Stainless Steel Seamless Pipe Dealer, Super Duplex Steel S32750 Tubing Manufacturer in India. ASTM A789 Seamless and Welded Super Duplex Stainless Steel S32750 Tubing, Stockists of Huge Range of Super Duplex Stainless Steel 2507 Seamless Pipes, UNS S32750 Tube, Super Duplex Steel ASME SA790 UNS S32750 Pipes Dealer, DIN 1.4410 Pipe, UNS S32750 Pipe, UNS S32750 Super Duplex Steel ERW Pipes, DIN 1.4410 Tube, Super Duplex Stainless Steel 2507 EFW Tubing Stock Holder. Super Duplex Steel SAF 2507 are made up of by high quality of standard raw materials, and are quite recognized for their corrosion resistance, specific application design and durability. 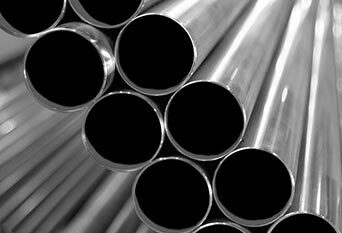 Austenitic Stainless Steel Grade 2507 pipes offer even better oxidation and strength resistance, ultimately making them more suitable for challenging applications. Usage of ASTM A789 Super Duplex Steel S32750 Tubes should be limited to applications below 600 Degree F (316 Degree C). Extended elevated temperature exposure can reduce both the toughness and corrosion resistance of ASME SA 789 Super Duplex Steel S32750 Tubes. Our range of Super Duplex Steel 2507 Tubes and tubes can be widely used in Shipbuilding & Marine, Chemical process industry, Oil & Gas industry, Food industry, Paper & Pulp industry, Pollution control, and Agrochemical – Fertiliser production. Manufactured in accordance with superior quality, our Ferritic Super Duplex Steel Grade 2507 pipes are also widely used in industries like Nuclear Power Sites, Power plants, Water System, Electric Power, Oil Field, Pipe Projects, Natural Gas, Offshore and others. 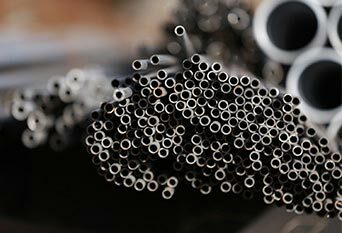 We Supply Supeer Duplex Steel UNS S32750 Pipes & Tubes Pipes & Tubes of various origin’s and companies like Nippon Steel & Sumitomo Metal, Sandvik, Sanyo Special Steel, Kobe Steel, Schoeller Bleckmann, Salzgitter Mannesmann Stainless Tubes, Tubacex etc. 2507 super duplex tubing, super duplex stainless steel uns s32750 tube, super duplex 2507 pipe, super duplex pipe, super duplex stainless steel uns s32750 pipe, super duplex uns s32750 pipe specification, super duplex stainless steel uns s32750 pipe specification, super duplex uns s32750 pipe material grade, super duplex stainless steel uns s32750 grades, super duplex stainless steel 2507, super duplex stainless steel uns s32750 composition, super duplex stainless steel uns s32750 pdf, uns s32750 mechanical properties, super duplex 2507 chemical composition, astm a790 uns s32750, s32750 equivalent, 2507 super duplex stainless steel data sheet, s32750 pipe, super duplex stainless steel s32750 pipe.